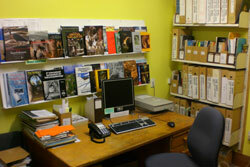 The Waitomo Caves Discovery Centre houses a library collection on behalf of the Waitomo Caves Museum Society and the New Zealand Speleological Society. 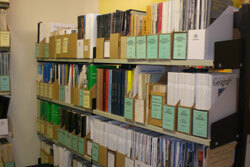 This is a unique collection of theses, research material, books, journals, maps and reprints. Journals and other material are received from all around the world and cover subjects as varied as caves and karst landscapes, entomology, local and New Zealand history, archaeology and tourism development. 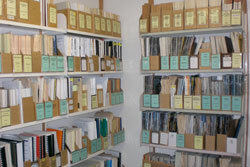 Membership of either the Waitomo Caves Museum Society or the New Zealand Speleological Society entitles members to withdraw non-reference publications from the library. 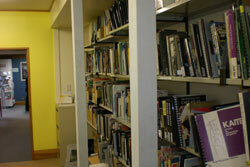 Non-members may only access parts of the library collection (e.g. original thesis) for research and study purposes by prior arrangement with the Waitomo Caves Discovery Centre Managing Director. For any further enquiries please contact the Waitomo Caves Discovery Centre.